Here is a picture of the road accident resulting in Four commandos suspected in Commissariat attack were found dead. 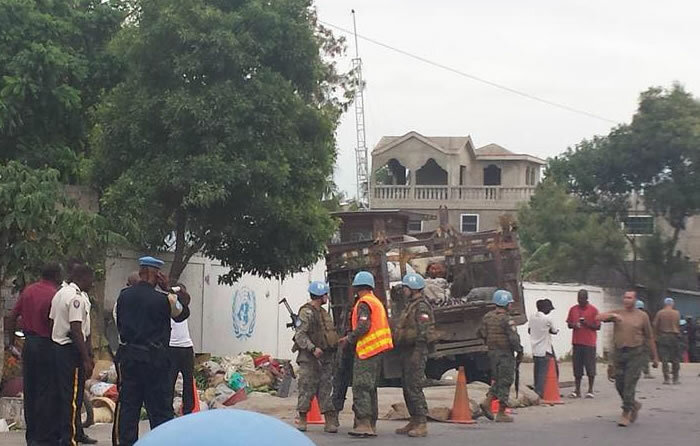 On Tuesday, May 16, 2016, about 50 gunmen wearing faded green uniforms that appeared to be from Haiti's disbanded military, attacked the Les Cayes police station. They killed one police officer (Tisson Jean-Pierre) and wounded at least two others before fleeing. The assailants ransacked the police station, stole guns and tortured the police officers. When they tried to escape in a white van, it swerved off a road and tumbled into a ravine, killing three of the attackers. One of them was killed earlier during a shootout with officers in the police station. Three of the attackers were arrested. One of the arrested attackers has linked former Senator Guy Philippe with this attack. Philippe is a former Tonton Macoutes leader, suspended Haitian Police Chief, and a presidential candidate (Front for National Reconstruction, a guerrilla group). Guy Philippe has a longstanding arrest warrant of the U.S. Drug Enforcement Agency over charges of cocaine smuggling and money laundering, and the Human Rights Watch has accused him of extrajudicial killings. 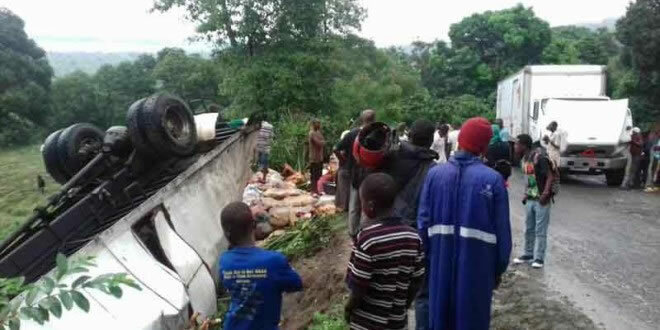 Here is a picture of a Major road accident at Coupe à Limbé, in the North of the country. 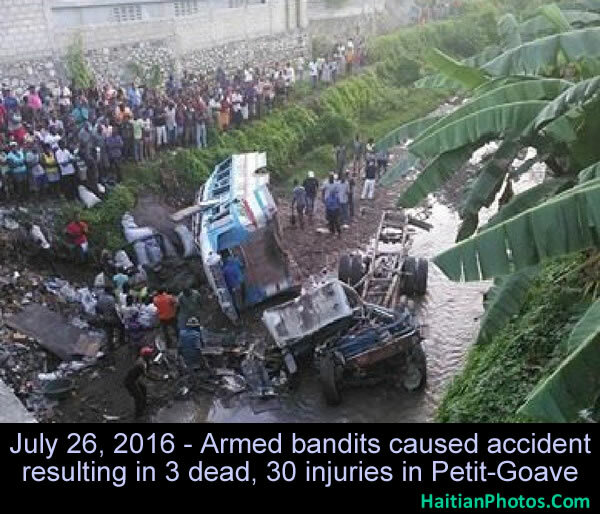 On Friday night, May 6, 2016, in a major road accident in Coupe à Limbé (North) involving two trucks, resulted 12 deaths and many critically injured. According to the Directorate of Civil Protection (DPC) report, an overloaded truck carrying mostly "madan sara" and their merchandise, got overturned when it tried to avoid another truck broken down in the middle of the road. Ten people died on the spot. According to an assessment of the National Ambulance Centre (CAN), the number of deaths might be more, because some of the injured transported to the hospitals in Quartier Morin and Milot, were in critical conditions. Immediate rescue operation could not be started because of heavy rain. Here is something to think about, at least 2 people are dead and 10 people are injured on Haiti roads every day. Delmas commune was chosen to commemorate World Day of Remembrance for Road Traffic Victims. Agencies present included Office of Vehicle Insurance, the police, and Civil Protection Directorate. National Ambulance Center, Handicap International, Red Cross, and USAID were also there to educate everyone how to drive safely on public roads. Statistics reveal road accidents cause two deaths and 10 injured each day. An awareness campaign will instruct drivers on driver safety when on public roads. 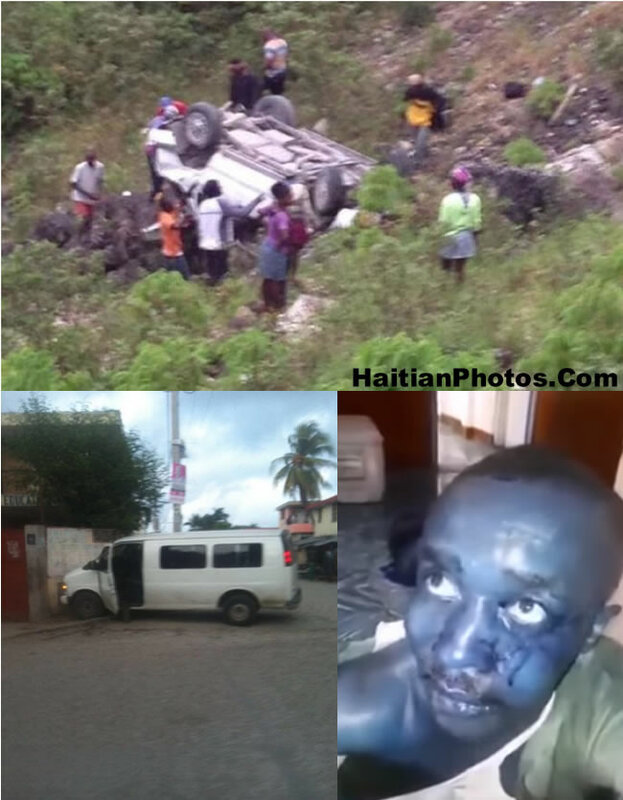 A major accident took place on August, 15, 2015 somewhere not far from the city of Cap-Haitian. It was reported that 17 passengers are dead. A truck filled with vendors on their way to market in Bonay Dugal was overturned when a motorbike taxi nearly collided with the van. Civil Protection reported a death toll of 18, with 28 sustaining injuries, 13 of them seriously wounded. 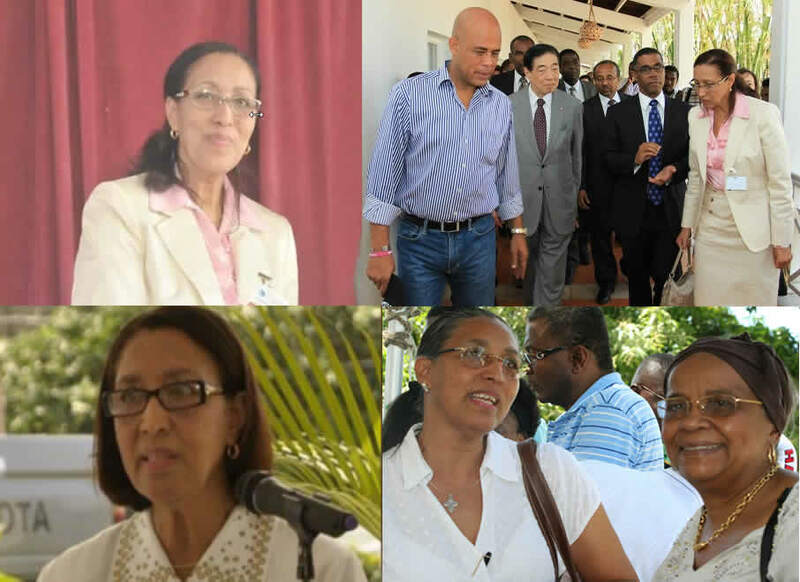 President Martelly expressed sympathy to victims' families. He is asking for an investigation to find out what led to the crash. He urged drivers to be aware of traffic and drive safely. On the early morning of March 30, 2015, a Florida church van full of parishioners crashed after the driver apparently missed a stop sign at an unlit T-intersection surrounded by farmland on a very steep embankment, sending the vehicle across four lanes and plunging through tall grasses into a shallow canal. 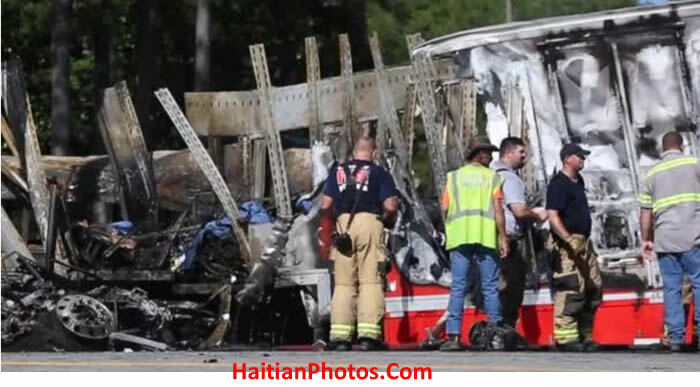 The crash killed the male driver and seven passengers-- four male and three female, eighteen people were in the 15-seat-capacity van when it crashed about 12:30 a.m.. Ten other passengers were taken to the hospital for treatment of whom one is a 4- year old child. People traveling in the van came from Fort Pierce, who were returning to the Independent Haitian Assembly of God after celebrating Palm Sunday trip in a Fort Myers church and were preparing for the upcoming Easter holiday after a recent fast. The police is investing the exact cause of the accident. On 17 February, around 8:00 GMT, the Mardi Gras float of the Barikad Crew got electrocuted on Rue Capois while it was passing under a high tension electric cable near the Champ de Mars. Star rapper of the group, known as "Phantom", was reported to be one of the first victims to receive the electric shock. According to a doctor who spoke to radio station, Zenith-FM, he is hopeful about Phantom's recovery. A singer of the band who was performing on the float, used a stick to move the power line to letting the float to pass; the person attempted was instantly electrocuted. A post in the 'You Tube' shows that the electric cable caught the head of a singer from the hip-hop band 'Barikad Crew' while the Mardi Gras float was passing the presidential stand packed with spectators. A three- day State mourning has been declared till Saturday, on the day of the State funeral. This is a common practice in many countries to have someone positioned atop a parade float to move low-hanging power lines. Recently, on the same day, another similar incident has taken three lives in Brazil. On February 17th, while celebrating the Final moment of the Mardi Gras Carnival in Port-au-Prince before the Ash Wednesday, over 20 people were electrocuted on a float and more than 60 people were injured of stampede in an ensuing panic by the bystanders when a carnival float hit a power line. As per recent report 16 people have been died after the incident. The accident happened a little before 8:00 AM GMT, when someone on the float used a pole to move a live power line out of the way so that the float could pass under it. Hundreds of people had rushed to the hospitals, some carrying the victims and others searching for their family members and friends. 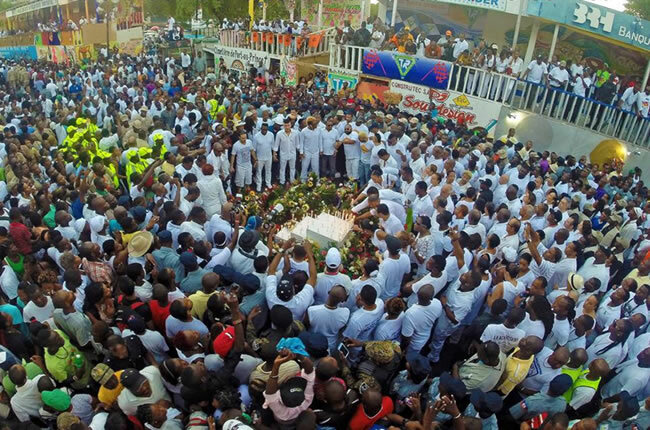 Later on the same day, the new Haitian Prime Minister Evans Paul arranged a silent condolence parade on the Champ de Mars where the accident occurred. The Haitian President Martelly has expressed his deepest sympathy to the victims on a twitter message.